The House of Representatives has unanimously passed a vote of no confidence on the Minister of Solid Minerals Development, Dr. Kayode Fayemi, and the Minister of State, Mr. Abubakar Bawa-Bwari. This follows absence of both ministers at a sectoral debate on the steel sector scheduled for today to find solutions to the troubled Ajaokuta Steel Plant. The motion on no confidence vote was moved by the Leader of the House, Mr. Femi Gbajabiamila who described absence of the minister as an attempt to boycott the session. 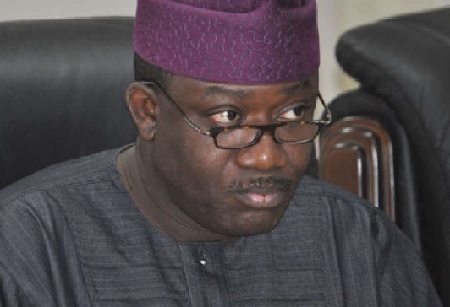 The lawmakers said it was unfortunate and a clear case of contempt of the parliament for Fayemi and Bwari to say that they would not attend the session due to other engagements when their ministry is at the centre stage of the Ajaokuta Company. Thus, the lawmakers resolved to constitute a powerful adhoc panel to investigate why the company has been comatose and the role of the two ministers in the allegations of under hand dealings on plans to concession the steel plant. Gbajabiamila said “You personally signed the letter to them, unfortunately none of the ministers could sign their reply. Rather, they asked the PS to respond to you two weeks after. “The invitation that hasn’t been honoured is a serious contempt. This presentation gives ample opportunity for fair hearing. There are allegations. I believe we should take this matter seriously. Whatever we should do here today should be moved to a powerful investigative hearing. Also, Chief Whip Alhassan Ado Doguwa said: “At a point when the leadership of the country is talking about diversification of the economy, we have found the gold. But these relevant ministries are not ready to cooperate. “What we do here is not about you but it’s for and on behalf of the generality of the people of Nigeria. For any minister to undermine an invitation of this House is to say the least unfortunate. “This is an intervention for us to save this nation from economic quagmire. I want to say that at the end of the sectoral debate, we have to take a decisive action. “Their absence here simply means that there’s something suspicious – absolutely suspicious. Most of the face-off we face with the Executive is as a result of the attitude of these ministers and the rest.” One after the other, members of the House took turn to lament the development, with Rep Zakari Mohammed saying the House should not pass the ministry’s budget until the two ministers tendered unreserved apologies.